There’s something curious going on in the state of West Bengal. Mamata Banerjee, who has for long battled charges of minority appeasement, has taken a sudden and sharp turn towards janeu-dhaari politics. Ahead of the crucial panchayat polls scheduled later this year, through a string of political and administrative moves, the Bengal chief minister is out to prove that Trinamool Congress is not an ‘anti-Hindu’ party but ‘more-Hindu’ than even the BJP. This change in attitude and attempted change in perception is straight out of the Congress’ ‘soft-Hindutva’ playbook but is being conducted with all the finesse and subtlety of a bull in china shop. Dropping all ‘secularist’ pretensions, Mamata is beating tin drums and sounding gongs in paying obeisance to symbols of Hinduism. Consider the moves: Anubrata Mondal, the party’s senior leader in Birbhum district, where the BJP is on an upswing despite any grassroots structure to speak of, conducted a ‘Brahmin and Purohit sammelan’ (congregation and felicitation of Brahmins and Hindu priests) in Bolpur on Monday. 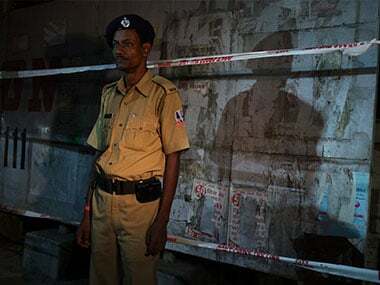 According to a report in NDTV, Mondal, who has earned notoriety for his ‘strongman’ image, appeared at the event donning a saffron kurta and bowed before the congregated Hindu priests with folded hands, saying, “If I have said anything wrong, forgive me... we need purohits at birth, marriage and death. You are so necessary in society. Nothing can happen without you." At the event where huge cutouts of the chief minister were on display, Mondal said that “the BJP is not interpreting the religion in the right manner. In the name of Hindutva politics, it is misleading the people of the country. If we have to learn about Hindu religion, we will learn it from Hindu priests and not from the BJP,” reported Indian Express. The nearly 1,500 Hindu priests and Brahmins were handed a shawl, pictures of Maa Sarada and Ramakrishna and a copy of the Bhagavad Gita each. According to a report in Times Now, the priests were promised financial aid and cows by the party in lieu of their attendance. This wasn’t an isolated incident. A pattern is clearly visible of recent acts that reveal Mamata’s desperation to refute BJP’s charge that TMC is insensitive towards Hindus and their causes. Reports emerged last November that the state will distribute around 2,000 cows to all rural households in Birbhum district to ostensibly “enhance milk production”. The CPM called it a “completely political move” and accused Mamata of “copying BJP”. Last December, during a visit to Sagar Islands to oversee the preparations for the upcoming Ganga Sagar Mela (an annual pilgrimage for Hindus where millions converge for a holy dip and to attend the fair), Mamata called for it to be “given the status of Kumbh Mela”. She reportedly spent about an hour at Kapil Muni's ashram with chief priest Gyandasji during her visit and vowed to “come again”. 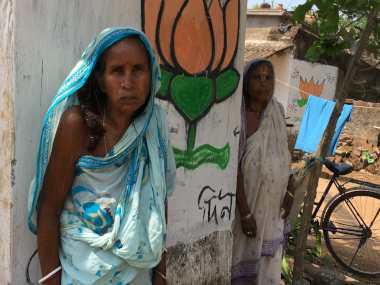 In her temple visits or setting up of boards to renovate key shrines in Kalighat, Tarapith and Tarakeswar, the shift from minorityism to majoritarian politics is evident. 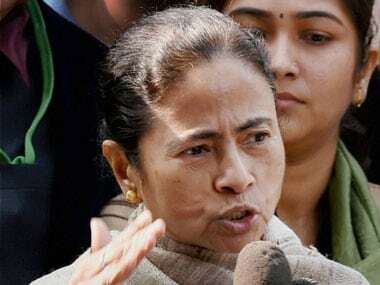 The swing is more palpable in TMC’s case because, so far, Mamata worked assiduously towards weaning away Muslim votes in Bengal (a considerable figure at 30 percent of the electorate) from the Left and had been busy consolidating that gain. She stayed resolute despite frequent charges of ‘minority appeasement’ from political rivals and even the judiciary. For instance, in 2016, the Calcutta High Court in a ruling held TMC government’s curbs on Durga idol immersion on account of Moharram as “arbitrary” and a “clear endeavour to appease the minority section of the public”. When the state government last year again tried to ban immersion of Durga idols on the day of Moharram, the Calcutta High Court yet again revoked the ban and issued a stern rebuke, warning the TMC government against curtailing citizens’ rights. In 2013, the high court scrapped Mamata’s stipend to imams. The Bengal chief minister was paying more than Rs 2,500 per month to 30,000 imams and Rs 1,500 per month to over 15,000 muezzins. The division bench called it “squandering of public money”. For a party that uses minorityism as the cornerstone of its politics and remains heavily reliant on Muslim votes, this brazen and blatant turn towards Hindutva politics betrays nervousness and insecurity over larger mobilisation of Hindu votes and an urgency to deny BJP the fruits of that mobilisation. Mamata would have noted, with some concern, the BJP’s silent rise in rural vote bank that is yet to be translated into electoral success. For instance, in the recent Sabang Assembly bypoll, BJP’s vote share increased from 5,610 votes in 2016 to 37,476 in 2017. 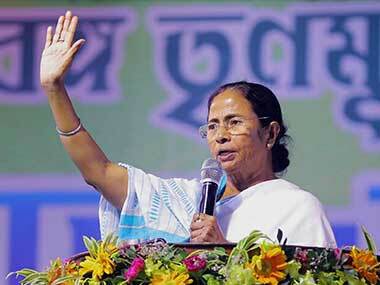 Mamata’s moves reflect a national trend. During campaigning for Gujarat Assembly polls, Congress’ janeu-dhaari new president Rahul Gandhi tried desperately to rid the party of its ‘pro-minority’ image. He embarked on a breathless temple run and showed such a pronounced tilt to the Right that Muslim voices were obliterated from poll consciousness during the length of the campaign. In its effort to deny BJP the benefits of a Hindu coalition, the Congress ended up thoroughly disempowering its Muslim vote bank, perhaps under the notion that Muslims don’t need wooing because they have no option but to vote against BJP. As long as the BJP stays electorally ascendant, the so-called “secularist” parties will increasingly jettison their faux secularism in favour of a pro-Hindutva slant. This reflects two realities of Indian politics. One, rival parties have finally realised that BJP is benefiting from the faux secularism that defined Indian electoral equation for decades. 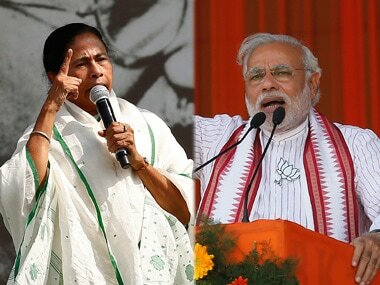 Initially in denial, parties such as the Congress and TMC are attempting a ‘course-correction’ to the Right to break BJP’s perceived monopoly over Hindu votes. Two, along with the tilt in position, the Opposition will now increasingly target a fracturing of the Hindu votes by hammering at the caste fault lines. They believe that a combination of these two strategies will be enough to stop the Narendra Modi juggernaut in 2019.